M830 High Explosive Anti-Tank Tracer (HEAT-T) is the service round for the smoothbore 120mm tank gun, used by the US Army M-1A2. This round serves as a companion to the kinetic energy M829 series anti-tank munition. 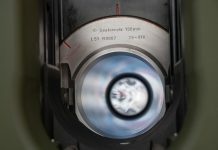 A new High Explosive service round, currently under development at Rheinmetall will be a successor to the DM12A2 currently in service. The HE round is intended primarily for dealing with long range anti-tank weapons. It is designed to engage soft and semi-hard targets, uses high explosive warhead containing steel and heavy metal fragmentation case. The full caliber warhead is equipped with a time fuse which also has a percussion function which can be activated with or without delay to ensure effective target penetration. Fuse setting is performed automatically by the fire control system. The weight of the HE round is 19 kg, muzzle velocity (L44) is 950 m’/sec and with the L55 – 1,100 m’/sec. This multi-purpose HEAT round is type classified as an M830 replacement. It provides greater lethality and longer range and shorter flight, compared to conventional HEAT rounds. 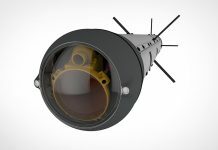 Similar to the KE cartridge, the HEAT-MP-T uses a discarding sabot with a sub-caliber warhead, and multifunction fuse facilitating both time and impact activation. 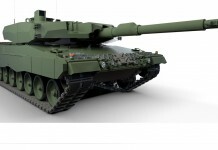 The cartridge uses multi-purpose fragmentation/shaped-charge warhead which despite its smaller diameter, compared to the M830, demonstrated 20% performance increase against bunkers and 30% increase against light armored vehicles. The HEAT-MP-T can also be used against helicopters. The total weight of this cartridge is 22.3kg, of which 7.1kg are 19 Perf Hex JA2 propellant and 11.4kg are the projectile. Muzzle velocity is 1,400m/sec. firing at ranges up to 4,000 m’. 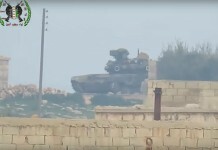 105/120mm Gun Launched Anti-Tank Guided Missile. The M1028 cartridge, fired from the main cannon of the M1A1/M1A2 Abrams Battle Tank, contains tungsten balls that provide a “shotgun-like effect” from the muzzle of the tank out to several hundred meters and can be used to clear enemy dismounts, break up hasty ambush sites in urban areas, clear defiles, stop infantry attacks and counter-attacks, and support friendly infantry assaults by providing cover-by-fire. When fielded, the M1028 will provide U.S. Army tank units and the Marine Expeditionary Force with quick-response, highly lethal, direct fire capability. The canister can also be filled with various payloads, including less than lethal means (such as chemical agents or “flash and bang” stun charge). 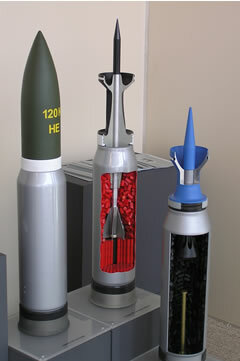 The 11kg projectile payload is filled with hundreds of tungsten pellets dispersed from the canister immediately after clearing the muzzle at a speed of 1,410 m/sec, forming an effective lethal barrage at ranges between 200 – 500 meters. This canister will replace the flechette ammunition which is currently available only for 105mm guns. The canister cartridge length is 780mm and its weight is 22.9kg. It uses double base propellant. Following the completion of System Development and Demonstration (SDD) phase as XM1028, the type classified M1028 entered low rate production in January 2005, with an initial order for the production of 3,800 rounds. 120mm Cargo projectile designed stunning providing flash-bang effect.